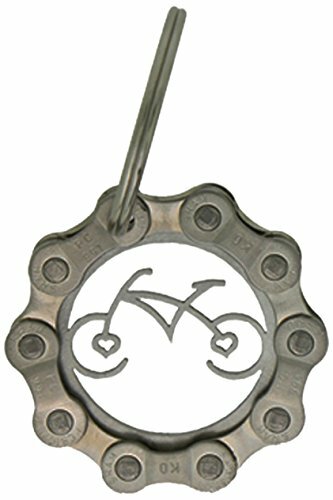 Stainless steel bicycle heart keychain, wrapped in recycled bicycle chain with split ring for keys. Surgical stainless steel belly ring with green crystal, and metal bicycle charm. We recycle bike parts into sleek bicycle jewelry, bike clocks, and unique art. For men and women, you'll find necklaces, bracelets, earrings, anklets, rings, body jewelry, and accessories. Check out the clocks, wine bottle stoppers, wine charms, key chains, t-shirts, and zipper pulls. View More In Bike Racks & Bags. If you have any questions about this product by Velo Bling Designs, contact us by completing and submitting the form below. If you are looking for a specif part number, please include it with your message. Steel Rear Wire Trike Basket White.